Onewheel+ XR – the long range option. Coming in March 2018, Onewheel+ XR provides 12-18 miles per charge. More than 2.5 times the range of the Onewheel+. The world’s most beautiful riding experience now goes 12-18 miles on a single charge. Take on big adventures and enjoy seamless commutes. Available at Electric Cyclery. The Copenhagen Wheel might make you giddy. The Copenhagen Wheel, now available at Electric Cyclery, is the electric bike conversion system we’ve all been waiting for. Battery and motor in one hub and totally wireless – this is the holy grail of electric bicycle technology, And there is the potential for giddiness to consider. The Elby electric bike is like no other on the market and must be test ridden and compared to other ebikes to be fully appreciated. 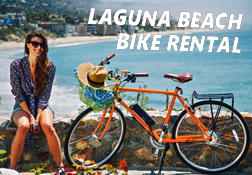 Test ride Elby at Electric Cyclery in Laguna Beach and you’ll see what we’re talking about. Bionx offers a high-speed option for California residents.